Convert M4V to AVI, MP4, 3GP and vice versa in batch. Convert DVD to M4V, AVI, MP4, MOV, MP3 and other 1000 formats. The M4V is one of the many file extensions you will encounter in times of video file formats, although it is pretty uncommon. This file extension is used for a container file that’s defined in the MPEG-4 standards systems as it’s downloaded by iTunes. It is a file format developed by Apple and can be renamed as the more common extension of MP4 since they are very similar. 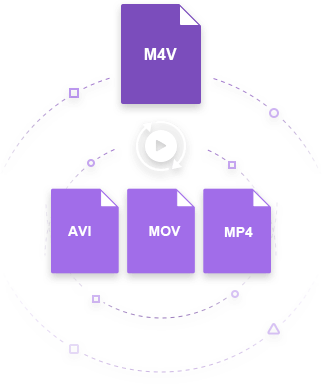 M4V files are used by Apple in encoding video files including movies, music videos, TV episodes, etc. that can be found in the iTunes store. Having made by Apple for iTunes, you can expect that it is not supported by most media players. With that means that you can fully enjoy your M4V files unless you are using iTunes player. Fortunately, there are easy ways to convert M4V to AVI on Mac and Windows for easy viewing of your files. There are many M4V to AVI converters you can find online for converting your iTunes files to the most popular file formats like AVI. 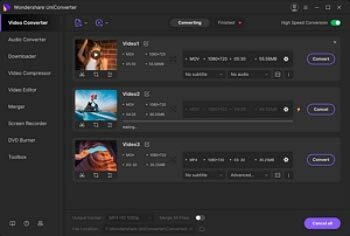 One of the best M4V to AVI converters on Mac that you can use to convert M4V to AVI is Wondershare UniConverter for Mac (originally Wondershare Video Converter Ultimate for Mac). It's a professional M4V converter that allows you to convert just about any vidoe to M4V or convert your M4V files virtually to any video and audio formats including AVI. Convert M4V to AVI, MP4, WMV, FLV, MKV, MOV, and other 1000 formats. Burn M4V vidoes to DVD with free DVD menu templates. 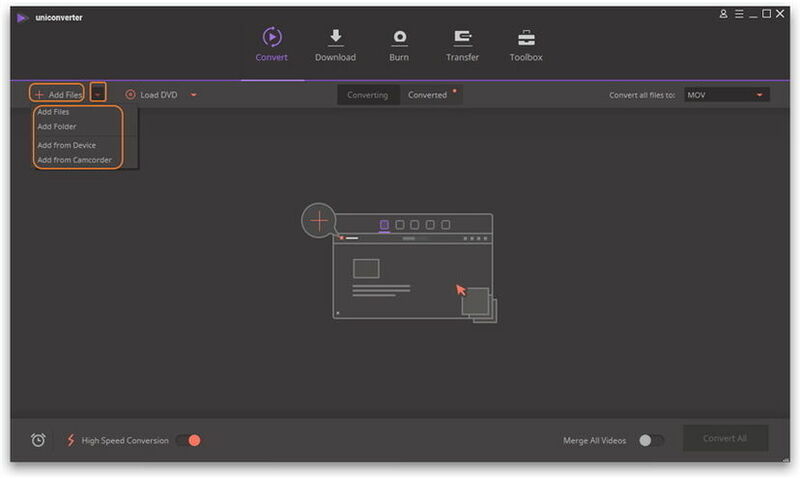 In order to start enjoying your M4V files to AVI now, here are the video tutorial and steps to take on converting your files using Wondershare UniConverter (originally Wondershare Video Converter Ultimate). Step 1 Load M4V files to Wondershare M4V to AVI converter. Wondershare UniConverter (originally Wondershare Video Converter Ultimate) is available in both Windows and Mac version. To convert M4V to AVI on Windows, please make sure you're downloading the right version via the download button above. Once the M4V converter is launched, you can import the files you want to convert on the converter. You can click the Add Files button which allows you to browse your hard disk for the files you need. Choose your files, load them. Alternatively, you can do a simple drop-and-drop to directly import your files. Step 2 Choose AVI as output format for M4V to AVI conversion. Wondershare UniConverter (originally Wondershare Video Converter Ultimate) contains all the popular formats, so you simply click the drop down icon beside Convert all files to: and chooseVideo > AVI > Select your desired resolution. If you want to convert M4V files for playing on a particular device, you can also directly choose the device model from the Device tab. Step 3 Start to convert M4V to AVI. Click the Convert or Convert All button to start the conversion. The process will start and your M4V files will be converted to AVI. Once finished, you can find the converted files under the Converted tab. If you want to know the details on how to convert M4V to AVI on Mac, you can refer to the article of How to Convert M4V on Mac >. If you are not into installing your own video converting application for some reason, you can still utilize free online solutions to convert your M4V files. You can find there are many websites online that offers free online video conversion of M4V files to AVI. They can be of great help to meet your conversion needs like ZAMZAR. 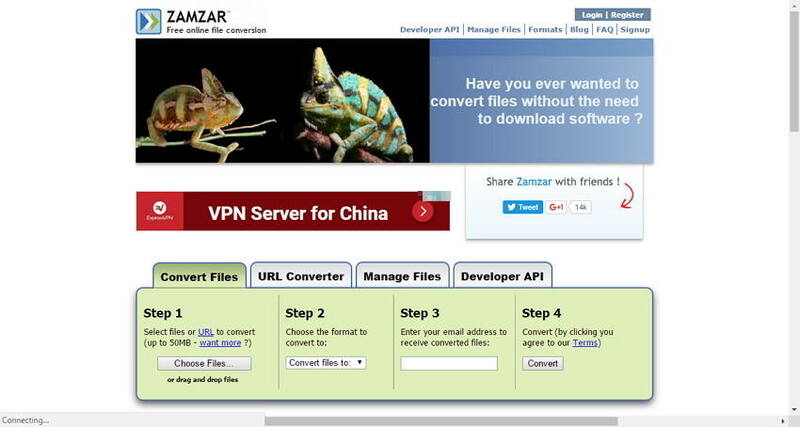 ZAMZAR allows you to convert your files without needing to download software and totally for free. For files up to 50MB, you can easily select files or URL to convert in their website. Once you upload the files you want convert, you can always choose the format you want them converted to. After that, simply enter your email address to which the converted files will be sent. It is easy and convenient, but there are also disadvantages with online solution. As mentioned above, ZAMZAR offers up to 50MB files only, so they are not good for big files. At the same time, online solutions often cost time and will suffer from quality loss. In all, Wondershare UniConverter (originally Wondershare Video Converter Ultimate) is the better choice undoubtedly. Pricing Affordable Free, with cheap premium version. Free with high premium version.